Thank You Google! The Nik Collection For Photo Editing USD 150 Worth Before Is Now Free! Home / apps / news / services / Thank You Google! 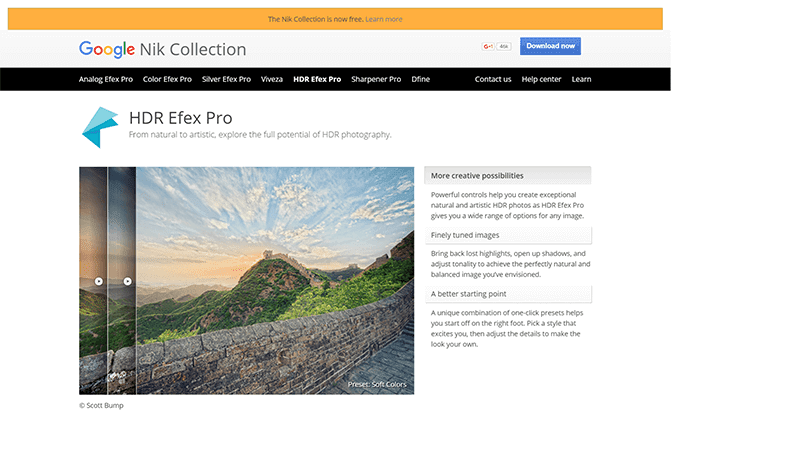 The Nik Collection For Photo Editing USD 150 Worth Before Is Now Free! Photographers, editors and probably anyone who loves good photos pay attention. Google just made the Nik Collection that cost around USD 150 now FREE! In cased you missed it, the Nik Collection is composed of seven desktop plug-ins that provides a powerful range of photo editing capabilities. It could be a great aid for photographers and anyone enhance their photos, add filters, sharpen images, adjustments to color tones, do color corrections, retouches and other creative effects. A classy and fair move. Keep it up and make this world a better place.